When selecting a pool heating system, a lot depends on your relationship with your pool, and your relationship with your wallet. For the lowdown on the costs of pool heating, read on. But which one is best for you? What are the benefits and drawbacks of each? And how much do they cost? 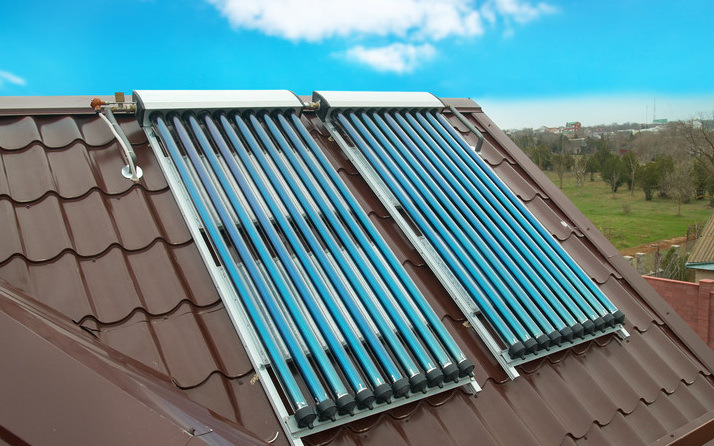 Solar pool heaters are the most popular type of pool heating systems in Australia, and for an obvious reason: they heat the water by harnessing free energy from the sun. Water is pumped from the pool and flows through a solar collector – either a series of flexible tubes or solar panels most commonly mounted on the house roof. The water is heated by the sun before flowing back into the pool. How Much Does Solar Cost to Buy and Install? Depending on the size of your pool, basic systems range from around $1,000 to around $5,000. Again, depending on the size of your pool, installation costs generally range from between $600 to around $2,500. 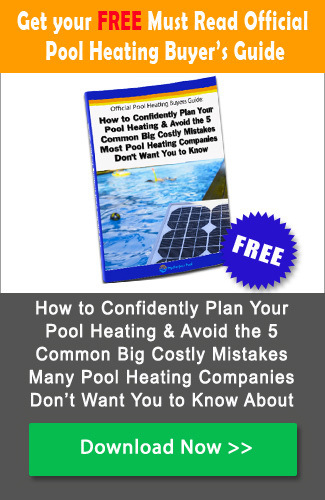 In general, for a typical 8m x 4m pool, a solar heating system is likely to cost around $2,500 and the installation another $1,250 – $1,350; a total fully installed cost of around $3,800. How Much Does Solar Cost to Run? Here’s the good news: almost nothing. The running costs are limited to the energy costs necessary for running the pool pump. At an average of around $0.23 per KW hour, this should work out at around, or less than, $1.00 per day. Free Energy. The great thing about solar heaters is that they run off free energy provided by the sun. So, after the initial up-front costs of purchase and installation, their running costs are relatively negligible – typically less than a dollar a day, that being the energy cost it takes to power the booster pump. Green Energy. 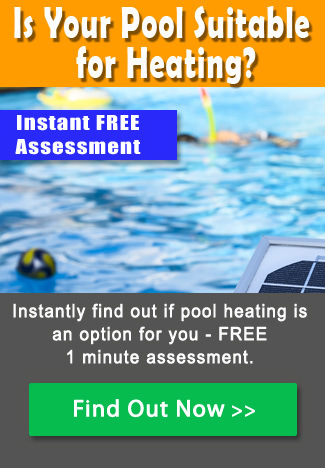 Solar heating is the environmentally friendly and natural way to heat your pool. Running Costs. Once installed, there are virtually no running costs. Slow Heat Up. Solar systems are capable of warming the pool water temperature by around 5-8ᵒ C, and even by as much as 10ᵒ C. But the process takes time. Collector Panel Size. The amount of heat the system generates is directly proportional to the square meterage of the collector relative to that of the pool – as a rule of thumb, the collector should be at least 80% the square meterage of the pool, and preferably 100%. Weather Dependant. Solar pool heaters are only as efficient as the amount of direct sunshine they receive. Their heating effect is limited, therefore, by both weather and shade. How Much Do Gas Heaters Cost to Buy and Install? Obviously, the size of the gas pool heater you need will depend on the size of your pool. For an average 32 m2 pool the price is likely to be in the region of $3,000 – $4,000. Installation is pretty straightforward, and typically comes in at around $250. How Much Do Gas Heaters Cost to Run? Here’s the catch. Because of their relatively low COPs, annual running costs can be high. Using natural gas, and assuming 7 months of active pool heating use per year, the cost of gas heating a 32 m2 pool in southern QLD to central/north eastern NSW is likely to be $600-$1,200 per annum. And that’s assuming you’re also using a pool cover; if you’re not using a pool cover, the running costs double. For LPG, the running costs are higher. On the same assumptions as above, LPG running costs are likely to come in closer to $2,000 per annum. And, as above, without a pool cover, again, the running costs will double. Running Costs. Because of their relatively inefficient use of energy, gas heaters can have the highest running costs of any type of pool heater. Electric pool heat pumps work like a refrigerator – only in reverse. The heat pump’s fan draws in warm air from the atmosphere and into an evaporator that contains a piping system filled with a non-CFC refrigerant. 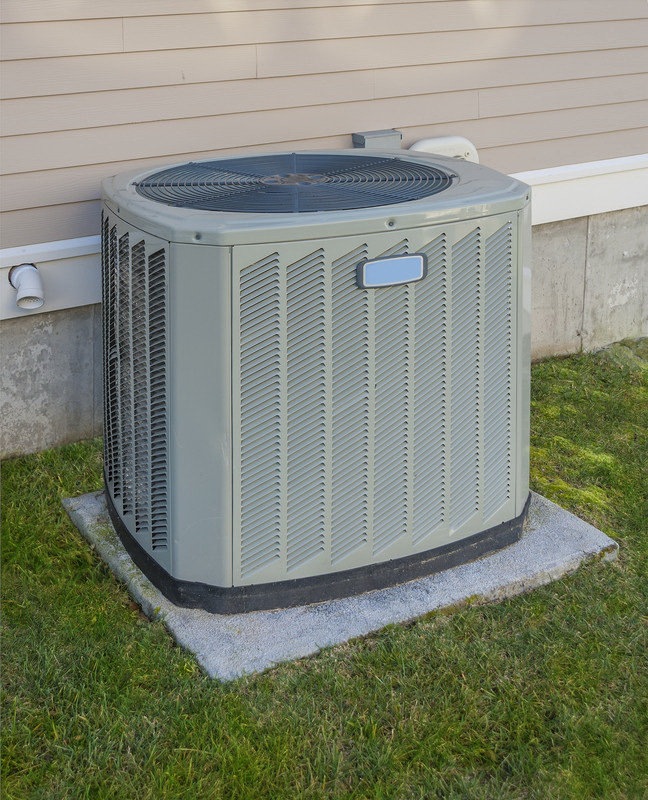 Because the refrigerant has a boiling point of -26ᵒ C, the warm air immediately causes the refrigerant to super-heat, and that heat is then transferred to the pool water circulating through the heat pump. 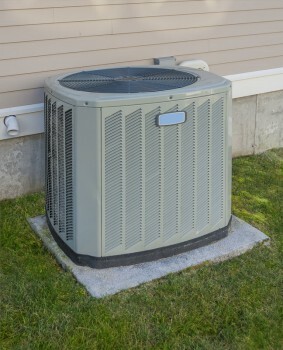 How Much Do Electric Heat Pumps Cost to Buy and Install? Electric heat pumps aren’t exactly cheap. Prices vary depending on the size of the heat pump. For a standard 32 m2 pool, prices range from $4,500-$6,000. Installation is not overly complicated, and likely to cost in the region of $400. How Much Do Electric Heat Pumps Cost to Run? Electric heat pumps are staggeringly efficient users of energy, and actually produce far more energy than they consume. For every 1 kw of power they consume, they produce 5kw of heat. As a result their running costs are relatively low. Assuming 7 months of active pool heating use per year, the cost of gas heating a 32 m2 pool in southern QLD to central/north eastern NSW is likely to be $400-$600 per annum – presuming that you’re using a pool cover. Without a pool cover, running costs are likely to double. Energy Efficiency. For every 1 kw of power they consume, they produce 5 kw of heat. Low Running Costs. Because they’re so energy efficient,running costs are relatively low; though not as low as solar heating. Relatively Fast. Although not as fast as a gas heater, electric heat pumps will heat the pool considerably more quickly than solar heaters. In general, for a standard 32 m2 pool, a pool heat pump will take 48-72 hours to raise the water temperature by 14°C. High Purchase Price. Generally more than twice the price of either solar or gas heaters. Ambient Air Temperature. Although most electric heat pumps will operate efficiently even in air temperatures as low as 7°C, below that there is a risk of ice forming on their condensers thereby causing mechanical failure. I was wondering whether you would have an option to hire a portable heater to heat a swimming pool for a one off winter occasion.